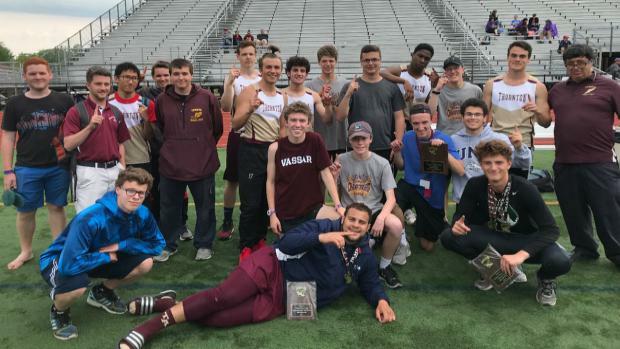 With the home field advantage the Thornton Academy Golden Trojans captured both the girls' and boys' team titles. The girls won for the fifth season in a row, while the boys won for the first time since 2015. The boys tallied 96 points to outdistance runner-up Falmouth by 14 points, defending champion Scarborough (67) was third with Bonny Eagle (50) & Cheverus (47) rounding out the top five. The Golden Trojan boys were led by Track MVP Travis Snyder who won both the 110m hurdles (15.32) and 300m hurdles (41.45), plus added another win in his specialty the pole vault with a 15-3 clearance. He also added six more points with his 20-9 effort in the long jump. In the field, Jason Montano led the way with 20 points with his two victories in the shot put (55-7) & discus (169-0). 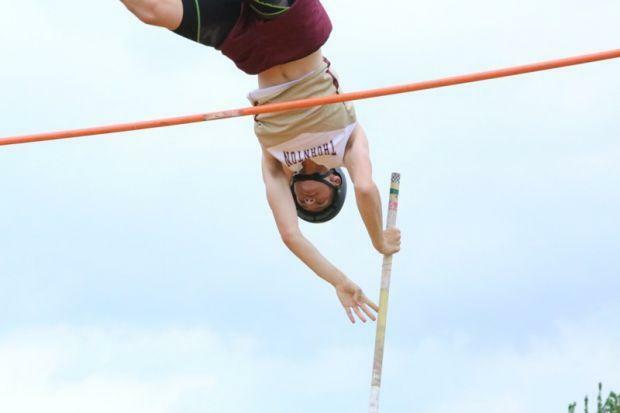 He was awarded the field events MVP, and previously was voted the regular season field MVP as well. Sophomore Dawson Desrosiers came up big in the 800m as he battled all the way to the line running a new personal best 2:02.77 to score eight important points for TA. He would later lead off the 4x400 which went on to finish second as well. William Chapman added a personal best 5-10 in the high jump to finish third. 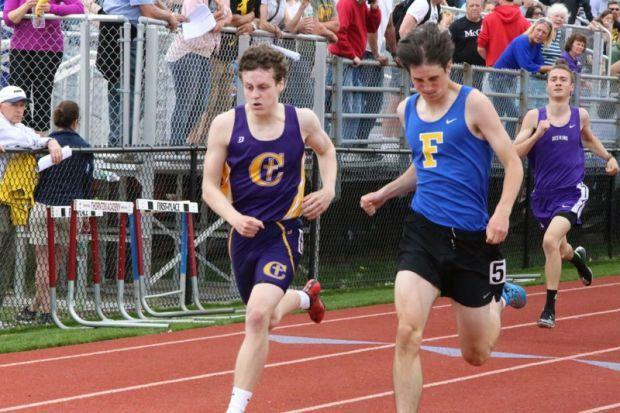 Falmouth got wins from Jon Auer in the 1600m as the junior ran 4:25.74, and freshman Alvaro Fuentes (22.67) in the 200m. Scarborough's Jarett Flaker won the 100m in a new SMAA meet record of 10.83, the time was the second fastest ever run in the state. Unfortunately for the sophomore sprint star that was the end of the day, as he was unable to compete the rest of the day with an injury that will most likely end his season.